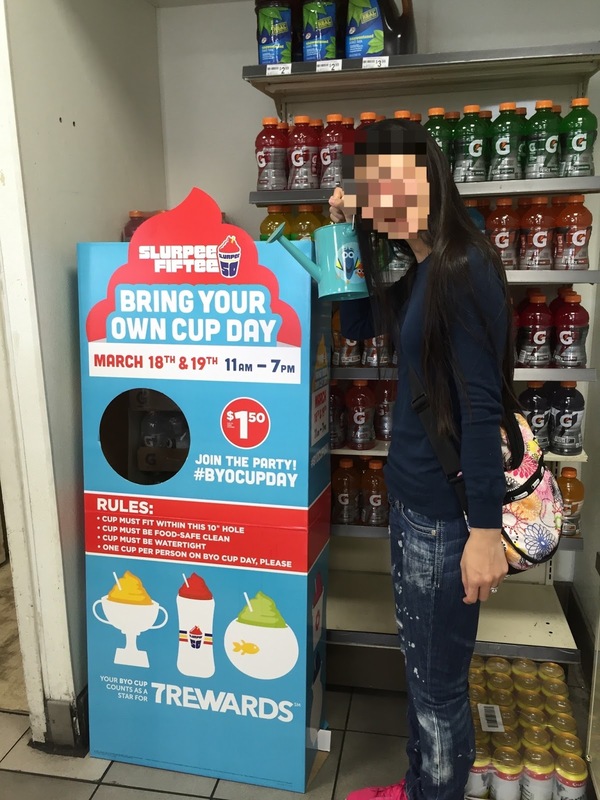 My husband found an article that Seven Eleven would have its 2nd annual Bring Your Own Cup Slurpee Day on March 18 and 19, 2016. Last year, it's only held for one day and I sure enjoyed the event, and I decided to BOYCup this years, too. Both days, from 11 AM to 7 PM, any cups which fit through a 10-inch diameter hole set at the stores can be filled for only 1.50 dollars (before tax) and it's the average cost of a medium Slurpee. There's a board at the Seven Elven we went to in Alameda, California. 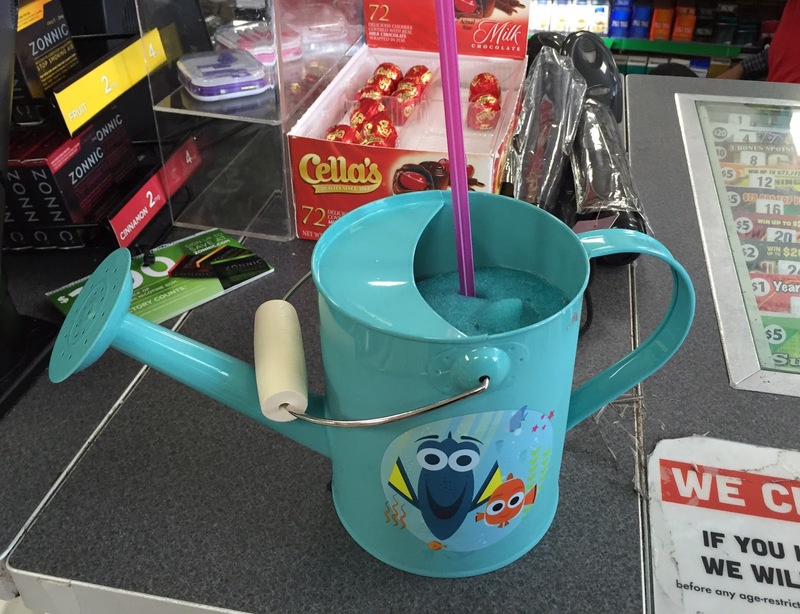 To enjoy this event, I went to Target to get a container and this year, I brought a watering can with "Finding Dory." I tried a new "Diet Coke Frost with a Splash of Cherry." Also "Airheads Xtremes Rainbow Berry," which is a flat gummy with sour pours on. 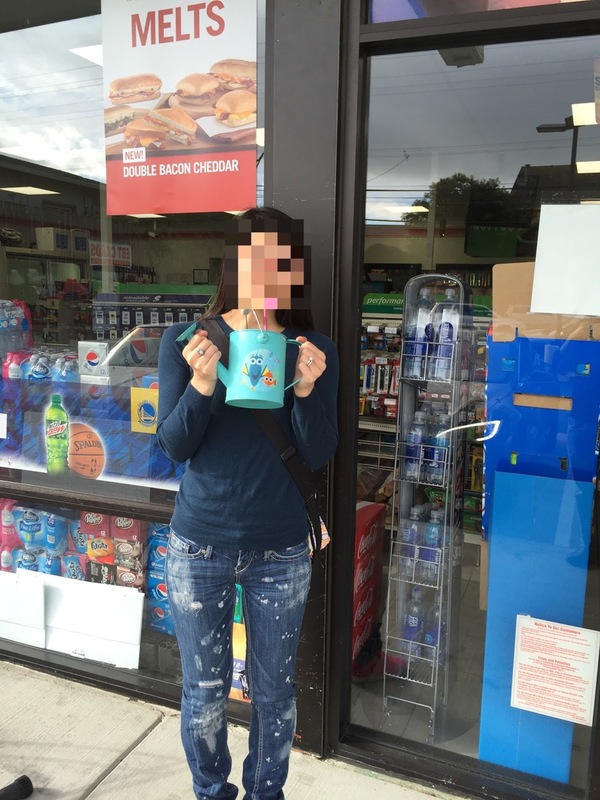 And "Mtn Dew Game Fuel with a Blast of Berry Lime Flavor." When I brought it to the cashier, many employees were smiling and I was asked by some customers what I was doing (with this watering pot), so I guess this event isn't that well known. "Diet Coke Frost with a Splash of Cherry" tasted similar to Diet Cherry Coke but the cherry flavor was weaker than the actual soda. "Airheads Xtremes Rainbow Berry" had sourness with artificial fruity flavor. "Mtn Dew Game Fuel with a Blast of Berry Lime Flavor" was refreshing. 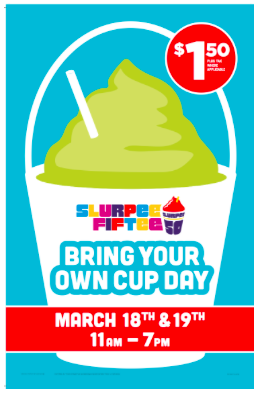 It's fun to think what kind of cup I should bring for the next year.